A Protestant is someone who follows one of the numerous branches of Protestantism, the form of Christianity created during the Reformation of the sixteenth century and spread across Europe and later the world. The term 'Protestant,' therefore, came into use in the sixteenth century, and unlike many historical terms, you can work out what it means with a little bit of guesswork: it is, quite simply, all about 'protest.' To be a Protestant was, essentially, to be a protestor. In 1517, the theologian Martin Luther spoke out against the established Latin Church in Europe on the subject of indulgences. There had been many critics of the Catholic Church before, and many had been crushed easily by the monolithic central structure. Some had been burned, and Luther faced their fate by starting an open war. 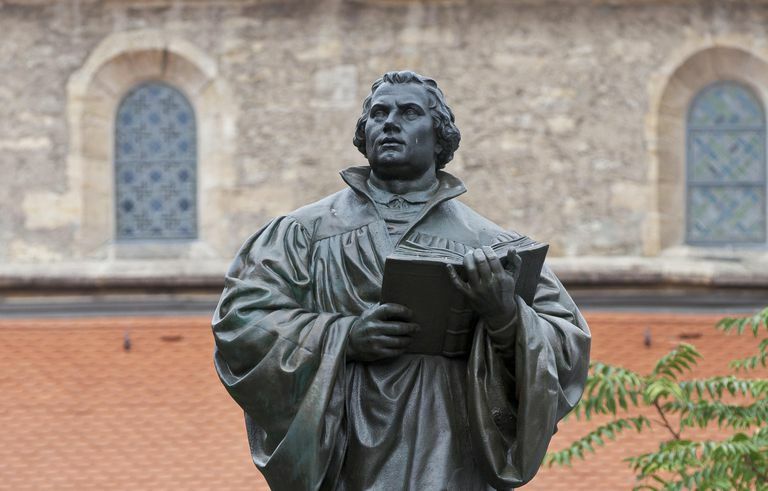 But the anger at many aspects of a church considered corrupt and venal was growing, and when Luther nailed his theses to a church door (an established way of starting debate), he found he could gain patrons strong enough to protect him. As the Pope decided how best to deal with Luther, the theologian and his colleagues effectively evolved a new form of the Christian religion in a series of writings which were exciting, frenzied, and which would be revolutionary. This new form (or rather, new forms) were taken up by many princes and towns of the German empire. Debate ensued, with the Pope, Emperor, and Catholic governments on one side and members of the new church on the other. This sometimes involved genuine debate in the traditional sense of people standing, speaking their views, and letting another person follow, and sometimes involved the sharp end of weapons. The debate covered all of Europe and beyond. In 1526, a meeting of the Reichstag (in practice, a form of German imperial parliament) issued the Recess of 27 August, stating that each individual government within the empire could decide which religion they wished to follow. It would have been a triumph of religious freedom, had it lasted. However, a new Reichstag which met in 1529 was not so amenable to the Lutherans, and the Emperor canceled the Recess. In response, the followers of the new church issued the 'Protest', which protested against the cancellation on April 19th. What Chance Did the Pilgrimage of Grace Have Against Henry VIII? Is There a Racist Origin for the Word "Picnic"?